Dad! There’s a drone at the door! Knock, knock! 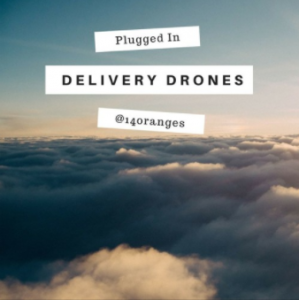 One-way drone delivery of packages under 5 pounds has the economic potential of becoming a very useful service for retailers and for the delivery/collection of medicines and medical samples. However, before our skies can be filled with drones, regulators will have to set standards for the management of these services. On this edition of Evolution’s 107.9’s Plugged-In, I spoke with Levi Sinclair about drone delivery, and what it holds in store for consumers in the near future.